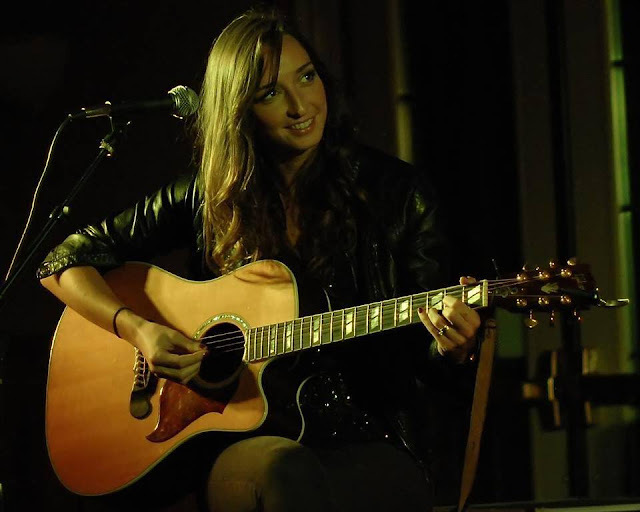 Jenn Bostic is an American singer-songwriter. After graduating from the famous Berklee school of music she moved to Nashville, participating in writers rounds and performing regularly. 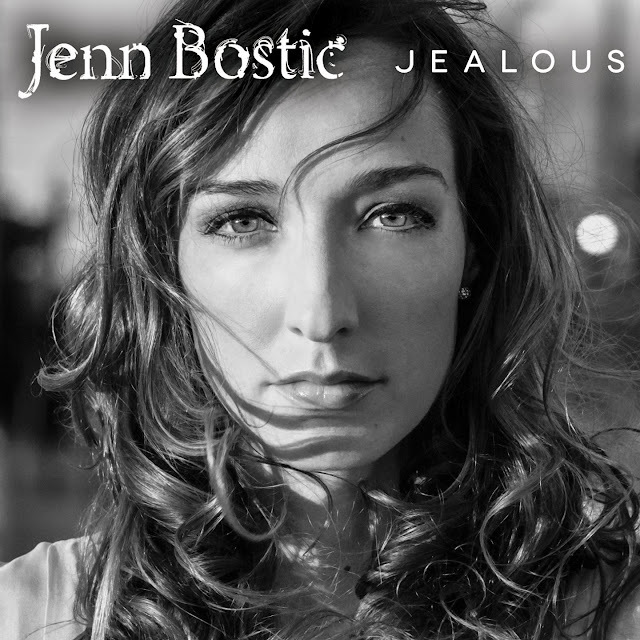 Jenn released her first album 'Jealous' in 2012 and her song 'Jealous of the Angels (produced by Barrett Yeretsian- the writer and producer of Christina Perris 'Jar of Hearts'), has now received over one million views on Youtube. The song has been played on Smooth Radio, BBC Radio 2 and BBC Radio 1 as well as reaching number one on the UK singer-songwriter charts. Jenn recently won 5 awards at the Independent Country Music Association Awards. Here she shares her songwriting tips. Do you have a daily songwriting routine or do you wait for inspiration to strike? I don't have a routine that I follow, each song has its own journey into this world. Sometimes I sit down with the intention of writing a song and sometimes I'm out on the road and I have to stop everything to let a song fall out of my heart. It's a fun process! Do you have any tricks to get the creative juices flowing? I try to focus on things that make my heart beat faster. If I see a movie, hear a story or have strong feelings toward something in my own life during a particular season, it usually ends up in a song. Do you find you normally start with a melody or lyrics? Each song is different. Sometimes I start writing a song based on a concept or phrase I've been thinking about, other times it will be a melody that I start humming and sometimes I fall in love with the way a certain group of chords sound together. Do you think that melody is the most important aspect of a song? I think melody, lyrics and chord structure are of equal importance in a song. When a songwriter can marry all three great songs are born. How long does it take you to write a song? Some songs have taken weeks, while others have taken less than an hour. 'Snowstorm' is a song off my new album 'Jealous', and I wrote that one in about 45 minutes. I was going through a difficult financial season and I was more or less venting through song. Could you explain a little about the writing process behind a few of your songs? 'Jealous of the Angels' is a song that is very close to my heart. Unfortunately, I lost my dad in a car accident when I was 10 years old. Music was something my family loved to create together. After I lost my dad, I felt like playing music was the one way I could still connect with him. Songwriting became a form of therapy for me. Although I had a lot of emotions and pain to deal with, I found some sort of release through it. Fourteen years later 'Jealous of the Angels' was written and it felt as if a weight had been lifted from my shoulders. So much healing took place during that writing session, and to see the way it has been helping others heal and be comforted continues to overwhelm me. I feel absolutely honored that God gave me this song. 'Not Yet' is a constant reminder to keep pressing through. The music industry is not an easy one to break into, and I wrote this song with my producer, Barrett Yeretsian, in a moment of complete frustration. I felt as if I had knocked on every door I knew to knock on, and every single one was being slammed in my face. I made a promise to myself that day that I wouldn't give up on this dream no matter what. 'Missin a Man' is a special one for me. My husband and I got married a little over two years ago. We were next door neighbors growing up in Waconia, Minnesota. I feel incredibly blessed to be touring the world and sharing music, but it's tough not to be able to share these adventures with the one person I love most. He's the most supportive person I know, and we are both so grateful for the amazing technology that keeps us connected. I absolutely love what I do, but it's nice to have a moment during my shows to let the world know he's on my heart. Do you think that a technical knowledge of theory is important or does it get in the way? I think it's important to understand at least the basics of your instrument, but I think it's also important to know when to throw the rule book away when creating something from your heart. Do you tend to revisit your songs and rewrite them? After I think a song is complete I will start performing it. If something sticks out to me that doesn't feel right I usually go back and fix it, but often times it will be an easy fix that just sort of falls right into place. Songwriting can be a fun little puzzle. Do you write songs with a view to being commercial and following current trends? I do my best not to focus on what I think people want to hear and write songs that come from my heart. When a song is honest it has the most potential to touch someone's life, and for me that's the ultimate goal. Have you done much co-writing, and if so what do you see as the benefits? I have done quite a bit of co-writing and I absolutely love it! It's an amazing opportunity to grow as a songwriter when you can understand how someone else views the song and what their process is. It's easy to over think a lyric or a melody, and sometimes it's nice to have someone say, "Stop it! You're thinking too hard." There's something really beautiful about simplicity. Who do you view as great songwriters. Who has inspired you musically/ lyrically? Dan Wilson, Allen Shamblin, Lauren Christy, Mike Reid, Sara Bareilles, Jon Prine and so many other writers have inspired me to write! They have each written at least one song that I can feel in my soul. That's what I long to create. Do you feel that when there's conflict/struggle in your life that it inspires better songs? I think that conflict and struggle can inspire powerful songs, but I think there are a lot of incredible songs written during complete happiness and bliss. For me, tragedy and frustration have inspired the two songs that people are connecting with the most, but I think great songs can come from anywhere. Do you have any idea where you ideas come from? Life. Personal experiences, movie plots, stories I'm told, television shows, anything that grabs my heart the right way will end up in a song. Do you have any advice you'd like to share with budding songwriters out there? Never give up on your dreams! Enjoy life and do the things that make you happy, life is too short not to. Click on the following to find Jenn on the web.